Aga is Polish and currently lives in Lyon. She has already shared her 25 top reasons why she loves Lyon. She is back today with a list of memorable gifts you can bring to your friends from Lyon. Thank you, Aga! Find out My 10 Gifts Ideas of the memorable gifts from Lyon. Whether you are traveling and visiting Lyon just for a few days, or you have lived here in Lyon for some time now, it is always a good idea to come back home or visit someone abroad with a small yet memorable present from the city. But when you are buying for someone it can be a hard work sometimes, yes? 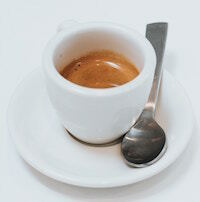 Well let me help you out and let me share with you my Ready to Use List of Top Gifts You Can Bring from Lyon. I hope you like them and find the Gift List useful. Ready To Use List of My Top 10 Gifts You Can Bring From Lyon? A bottle of good local wine. Lyon is luckily located close to the 2 very famous wine rich areas: the Beaujolais: https://www.discoverbeaujolais.com/ and the Valee du Rhone: https://www.vins-rhone.com/. That is why the city gets the very good quality French wines. You cannot miss the opportunity to taste them and share with other. So either you enjoy visiting the vinars for the degustation and shopping or simply you can get them in any Lyonnais shop or local supermarket at the competitive price, for example at Auchan: https://www.auchan.fr/. Something for cheese…but no cheese I am afraid! Why? Well I would not recommend taking it back home when you travelling a long way. This lovely tasting traditional Lyonnais cheese like St Marcelin https://www.fromage-saint-marcellin.fr/ and St Felician: https://www.lyon-france.com/) do SMELL and can make your whole luggage smell as well…But if you are a big fan of French cheeses and want to share with others, how about buying a cheese board and …actually considering to order your favourite Lyonnais cheese online? It can be delivered straight to your door without the luggage hassle. 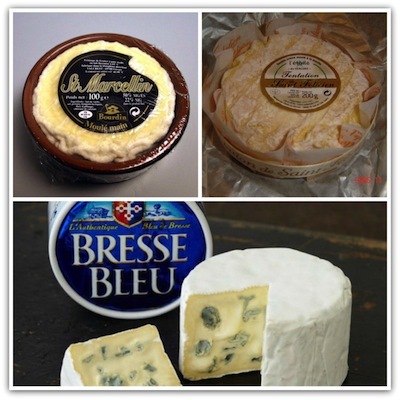 So this is a site which actually offers the online cheese purchase: https://www.fromages.com/. Cool, isn’t it? Now it is high time for something sweet. How about the Lyonnais traditional sweets, they have so many to choose from. Their traditional and typical for Lyon only chocolate shop Voisin offers very famous Coussin de Lyon: https://www.chocolat-voisin.com/. These are chocolate sweets made of green marzipan, dark green netting and a chocolate ganache flavored with curacao. But Voisin creates also my very famous The Quenelle de Lyon, chocolate pralines covered with white chocolate with a sprinkle of mocca: https://www.chocolat-voisin.com. Lastly, the Lyonnais specialty is Sarment du Beaujolais, chocolate sweets filled with alcohol https://www.chocolat-voisin.com/. So there is something for anyone and everyone loves chocolate! So now if you consider baking or cooking back at home, how about getting this Mini Lyonnais Cookbook which consist of 20 recipes: 5 starters, 10 main Lyonnais meals and 5 typical and local desserts (including the Pink Pralines Tart). Get it for Free here. Make yourself a present and a gift for others! And now some cheesy souvenirs so typical touristic stuff you can find all over Lyon. Some people like it, some hate it but this is a very safe and easy present to get for others. There are cities where those cheesy souvenirs are actually good ones and you can choose among many. In Lyon I would recommend the magnets, the mugs and pens, the aprons and kitchen textiles. You can have a look here and get the feel what is around: https://www.souvenirsdelyon.com/. But mostly I would recommend getting ONLYLYON products. The beer of the Real Beer Goddess – Ninkasi! Because it is here where in 1997 the first brewery was opened and succeeded in developing unique local and good quality beer in different colours and flavours. You can taste it here in their Lyonnais Pubs: https://www.ninkasi.fr/ and get a bottle of Nikasi Beer with the glass back home to share with friends! And now the lovely and posh Lyonnais souvenir – the real Guignol Puppet. 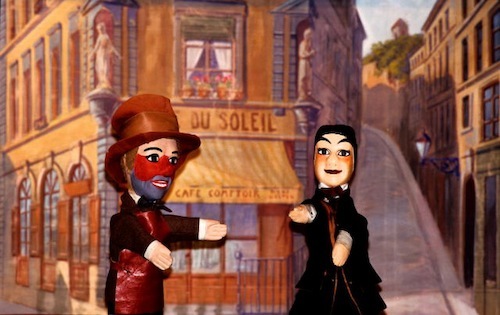 There is a Guignol Museum and Boutique: just in the Vieux Lyon where you can learn more about the history of the Puppet and the Lyonnais Theatre. You can also buy the puppet yourself and this is a gift not only for a kid but a souvenir which is ideal for any ages really. It represents the rich cultural history of Lyon. 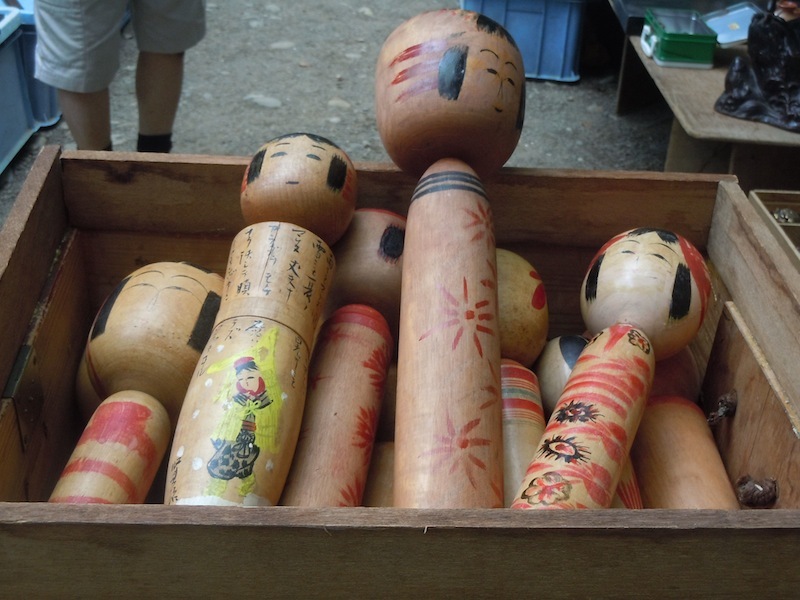 There is a lovely story behind Guignol Puppet. It was actually a silk worker, later a dentist who wanted to distract his patients by performing shows with his hand and home made glove…this his how in 1808 Laurent Mourguet pioneered this puppet show technique. It was then developed more in terms of characters and strings play. Laurent Mourguet carried on doing the shows in the traveling puppet troop and finally settled down in Lyon and created Le Caveau des Célestins Theater. So I can agree that Guignol is an important figure in Lyonnais history! Lastly but most importantly you can and should consider bringing the Silk from Lyon! As Lyonnais reputation, the wealth of the city has been based on the silk trade. All started in 1460s with Louis XI. 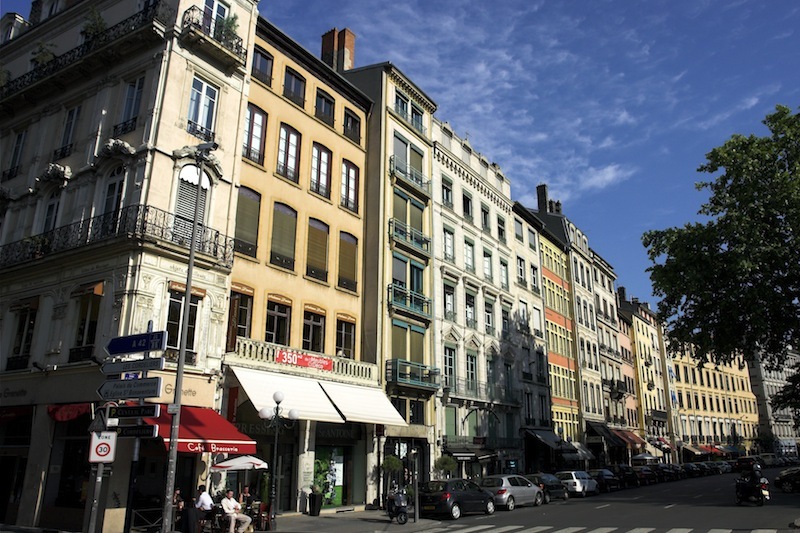 By the 18th century, Lyon has been well known and respected across the whole of Europe. You can explore more of the silk history of Lyon in the silk weavers’ district: https://www.en.lyon-france.com/ located in the Croix Rousse. Visit its museum at the Maison des Canuts https://www.maisondescanuts.fr/ and get a silk scarf, dress, textile from a local boutique. I hope you found the list useful and I hope you can find ideal presents to bring with you to your friends, family or colleagues back home. If you have some other suggestions, feel free to add! It would be great to enhance the list. But in the meantime, just enjoy Lyon and while doing so, use the list to get your gift shopping quickly and easily done!